Summers are busy for us. I am spending a lot of time helping to facilitate the summer activities for our teenagers. The other day I had two of them picking cherries from the tree, three of them pulling weeds in the garden, and another three were writing out their answers to some questions from our discipleship program. At the same time, I was trying to help one of our mothers get the heart medication she can’t afford to buy and locate some charities in London to assist her husband, who had just been evicted from the house in which he was living while he looked for work. As I walked from this mother’s home back through the gates of our Community Center, the sun was hot, the kids were loud, and I was taken by the hand by 8 year-old Gheorghitsa. He said, “You come with me.” I had lots to do and was feeling a little overwhelmed, but even if I wanted to ask Gheorghitsa to wait, he wouldn’t let me. He gripped my wrist and would not let go. He led me past the flower garden and into the Community Center. He opened his locker with one hand, and he pulled out the picture that he had just colored. 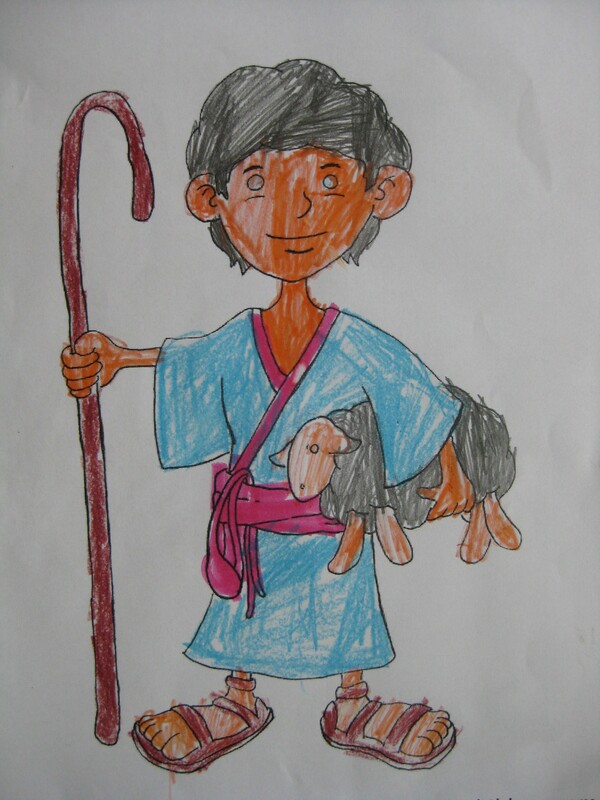 He said, “This is David.” I stopped and admired his coloring – one of the activities that go along with the summer Bible study about David’s life. Then I looked at the little sheep and said, “Then this is Gheorghitsa.” I wasn’t trying to make any spiritualized claims of being a pastor or of him being part of our flock. You see, Gheorghitsa and I often wrestle and box. I gave him the nickname “mosquito” as a way of trash-talking his punches and kicks. (No, I am not too old to trash talk 8 year-olds!) So, by calling him a sheep, it’s more about letting him know that I can keep him in a mean head-lock. But in the midst of my busyness and my chaotic and seemingly urgent environment, I realized that I’d been sucker-punched, stopped dead in my tracks and forced, yet invited to look at myself and to look at Gheorghitsa. These interruptions are often only possible through the sneaky power of mosquitoes and sheep and the likes of Gheorghitsa. David, I love this story. It is simple and beautiful. It brings joy to my heart. Watch out for those mosquitoes they will get you everytime. Little hands bring us back to God’s heart.